Rookie is a 48# fun-lovin' pistol! She has a positive energy and is a good marking dog. Rookie goes fast and comes just the same on land or water. She is sweet, likes people, kids, and plays like a puppy with other dogs. Rookie is tough enough to run down a crippled rooster and gently kiss your cheek at the end of the day. Sept 9th, 2017 Rookie achieved the WCX at NFGRC. 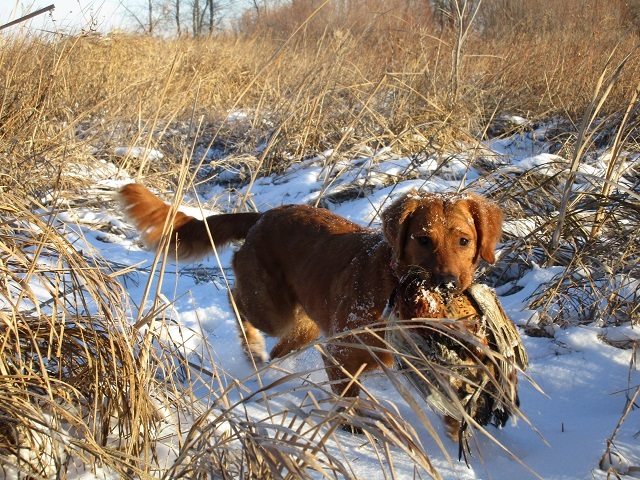 She smacked the land triple, picked up the water double retrieve, and respectfully honored another dog to complete the test. 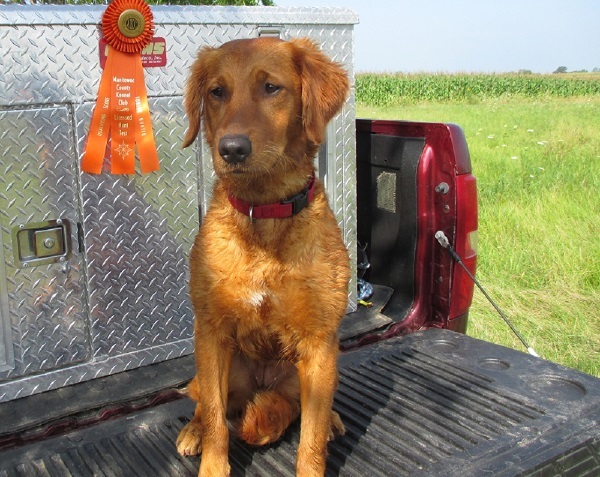 July 31st, 2015 Rookie nailed her marks and became a Junior Hunter at Watopa Retriever Club!